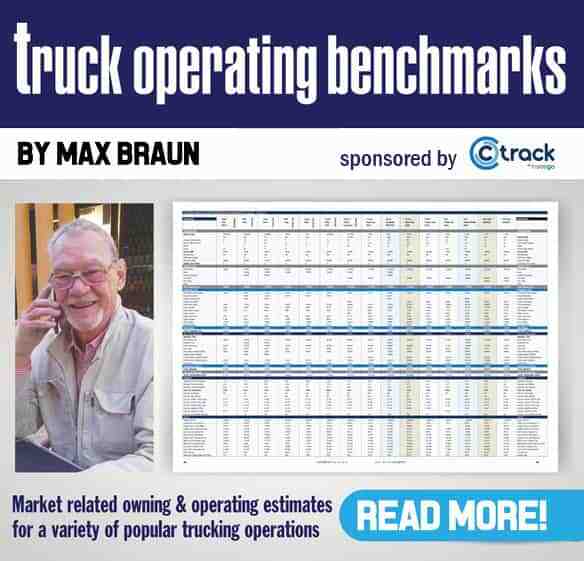 Every fleet owner knows how the lack of timely and appropriate maintenance inflates the cost of operating vehicles in a variety of ways from breakdowns to poor customer service. We also know that fuel represents the highest single cost driver for the majority of transport operations – so much so that for almost a decade, we have been virtually obsessed with the “cpl’ factor. 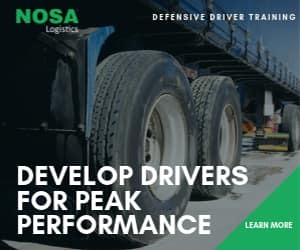 Properly managed fleets manage tyre inflation, driver behaviour in terms of harsh braking and unnecessary acceleration, unwanted kilometres, overloading, theft and several other operational aspects. However, have we given enough thought as to how the lack of maintenance impacts on the fuel we use and as a result, the emissions we generate. Fuel efficiency and cleaner air are already closely related and as we go green, we can expect to be more closely monitored and inevitably taxed. In a bid to review some of the maintenance and related areas that have an impact on fuel efficiency and emissions, let’s begin with lubricants. Modern high performance diesel engines demand the consistent use of high grade products, often synthetic oil is recommended by the vehicle or engine manufacturer. When cheaper oils with a lower specification are used and combined with untimely maintenance, engine performance wanes leading to a loss of power that results in unnecessary fuel consumption and excessive emissions , this especially so when combustion is incomplete. If this situation is not remedied, injector nozzles will fail prematurely. This will reduce the life of the engine and result in major repairs before the useful life is achieved. Fuel storage also needs to be properly reviewed and assessed. This is so whether you refill at a homebase or on road. Fuel contamination from water and sludge impedes engine life – especially injectors – and reduces filter efficacy and life. According to SAPIA (South African Petroleum Industry Association), fuel storage tanks have a limited life of approximately 20 years. Volumetric acoustic tank testing is available locally to all fleet owners and provides a virtual 100% opportunity to detect contaminants, sludge, cracks and holes in underground tanks. It is interesting to know that at least two major oil companies recently contracted a competent contractor to test the tanks embedded at their filling stations. Contractors confirm that many tanks they test for fleet owners with homebase dispensers contain a significant amount of water and sludge. Uncontrolled or unnecessary idling can cost anything from 2 to 20 litres per hour. When this is so, it requires service intervals and filter replacement to be reviewed. Engine design engineers confirm that excessive idling – apart from the wasted cost – has a negative influence on expected engine life. Check with your supplier(s) how much idling time is allowed in respect of your operations. Under-performing engines increase the number of average kilowatts needed to do the job at hand. The more the available kilowatts are used to overcome the various resistances so as to transport the load at an acceptable average speed, the more fuel will be burnt in the engine. This means more cost and more emissions. You’re looking for less not more and this is an important reason to ensure driver pre-trip checks are acted upon and that scheduled service and maintenance take place as and when planned. Talking about diesel engines in trouble, FleetWatch readers may recall the poster that was carried as an insert in a recent issue of the magazine. 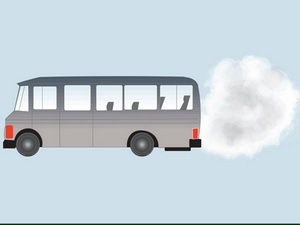 The poster explains how to read exhaust smoke. Black smoke is due to incomplete combustion; White smoke (Pale gray in colour) is caused by liquid fuel particles in the exhaust indicating fuel has not vapourised or ignited properly when passing through the combustion chambers. Blue smoke is not fuel related but suggests crankcase oil is burning in the combustion chamber. Whatever the colour of exhaust smoke, they all represent a host of causes that are maintenance related. Every time the FleetWatch Brake & Tyre Watch project has taken place, the majority of vehicles checked reveal poorly maintained braking systems, this particularly as it refers to trailing equipment. Apart from safety considerations, there is the important matter of wasted fuel and unnecessary emissions. Binding brakes, axles and wheels incorrectly aligned, incorrectly matched tyres or incorrect tread pattern are just some of the poorly maintained elements that pick the operator’s pockets of hard won returns. Insulated load boxes that are not maintained or kept too long invariably suffer from water penetration of the side panels thereby adding mass to the load box. Broken door seals and holes in the floor demand a greater output from the fridge unit to maintain the set point. Curtain sided bodies and trailers that are not correctly secured enhance air resistance. Incorrectly adjusted air management kits also add to air resistance and in some instances, cause the fridge unit to overheat. If fuel usage and emissions are to be optimised, there is no substitute for regular, scheduled maintenance and adherence to a sensible and sustainable replacement cycle. Implement a technical audit of each vehicle at least once a year to review and assess the success of your maintenance policy, plan and schedule. After evaluating and updating the plan and procedures, make sure all personnel responsible for the various aspects of the transport operation understand the importance of obtaining meaningful drive pre-checks and acting on the items that need attention. Eliminate outdated methods and procedures, duplication and waste. Properly done regular maintenance pays worthwhile dividends in terms of fuel efficiency and keeping the carbon footprint to a minimum.